Induction heating is a convenient and flexible method to deliver high-strength magnetic fields to nanoparticles, resulting in a focused and targeted treatment that is gaining considerable interest in the medical research community. 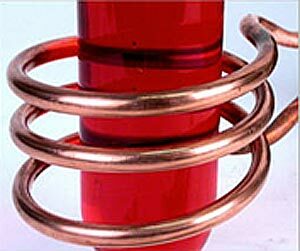 Induction heating systems are used in thermotherapy to generate alternating magnetic fields in the laboratory to elevate and manage the temperature of a solution of nano-particles in vitro or (in animal studies) in vivo. Our systems for nanoparticle heating research accommodate your research power and frequency needs, providing accurately adjustable power-levels from 1 kW to 10 kW and configurable frequency ranges from 150kHz to 400kHz. Core field-strengths up to 125 kA/m can be achieved. These papers and references showcase some of the more interesting and breakthrough work being done with induction heating in hyperthermia-assisted research.